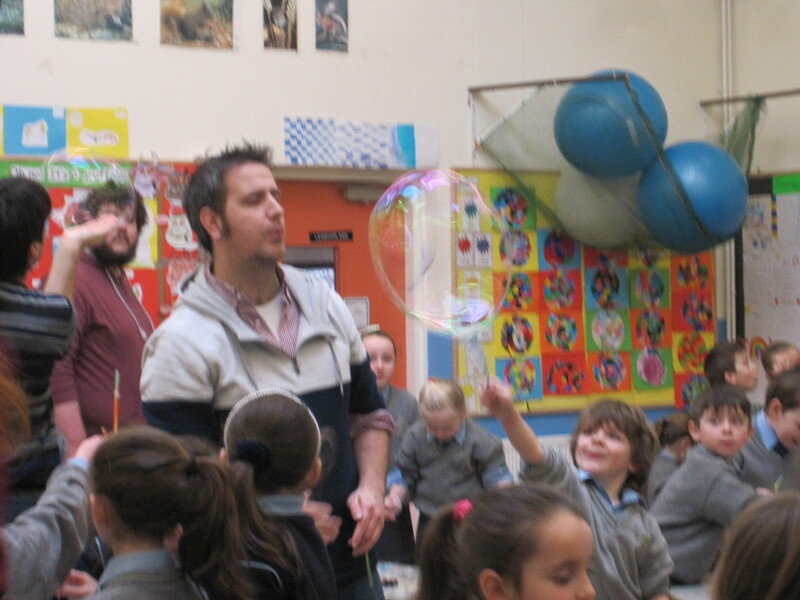 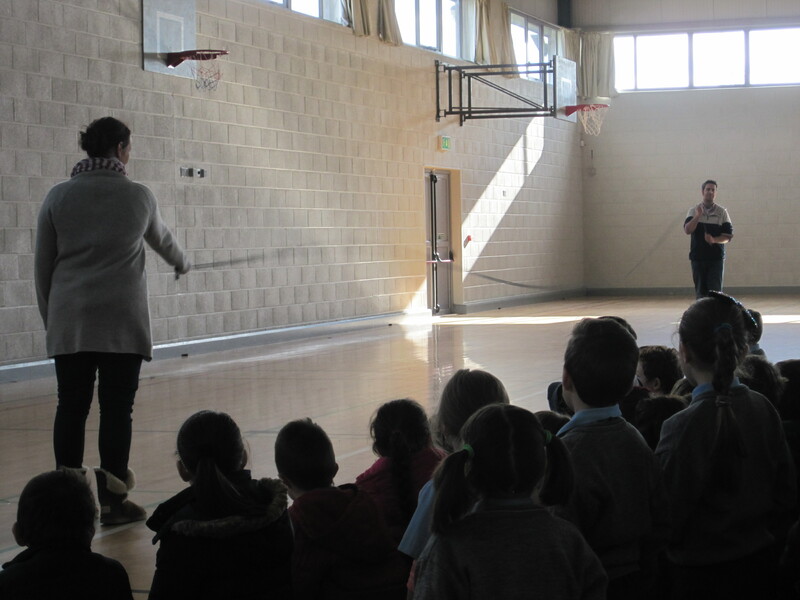 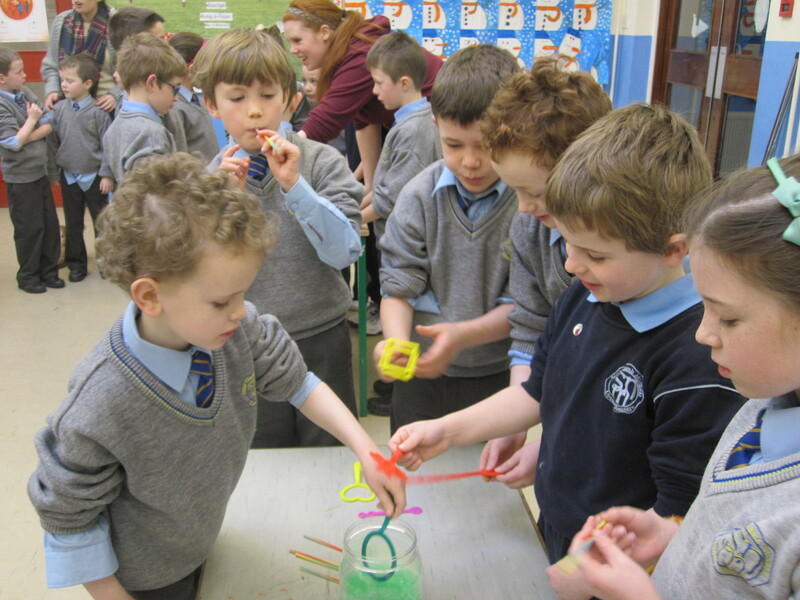 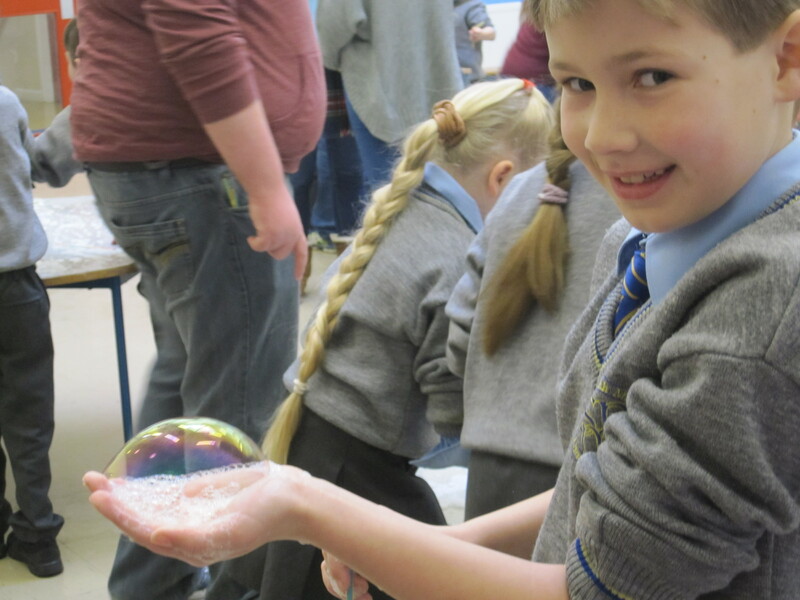 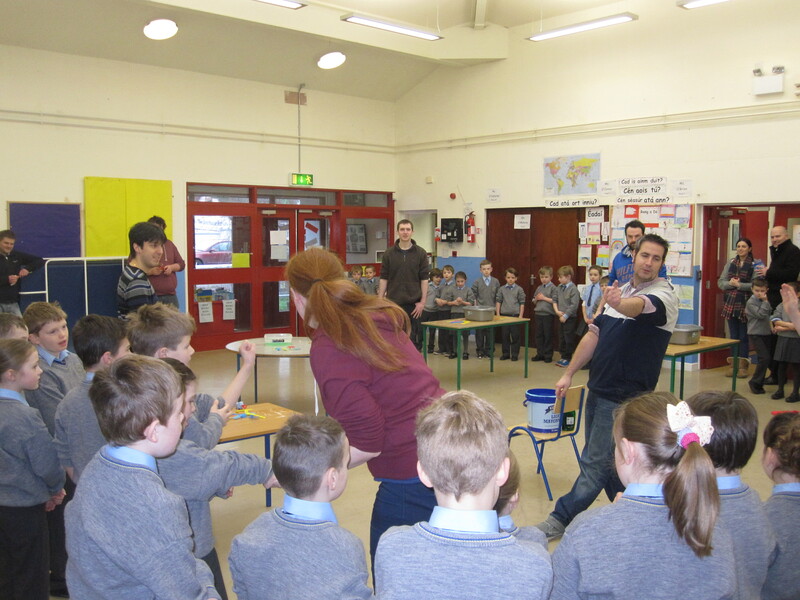 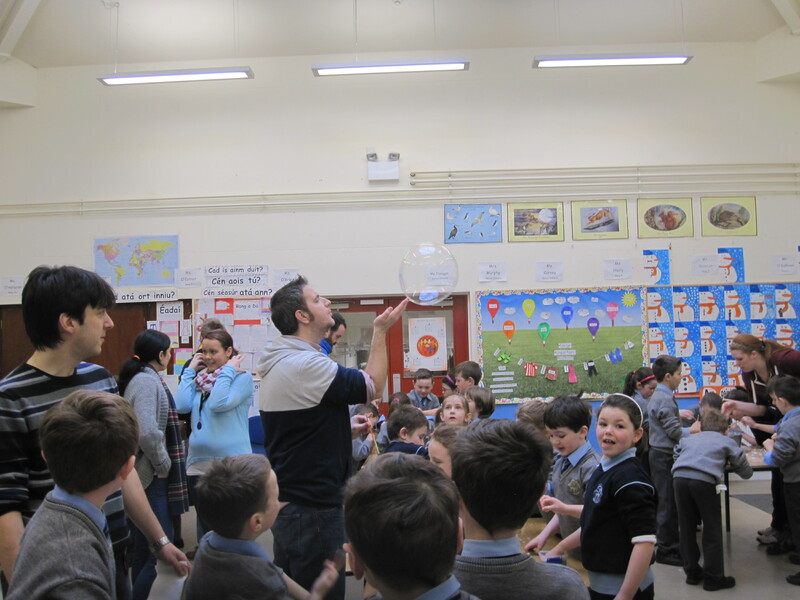 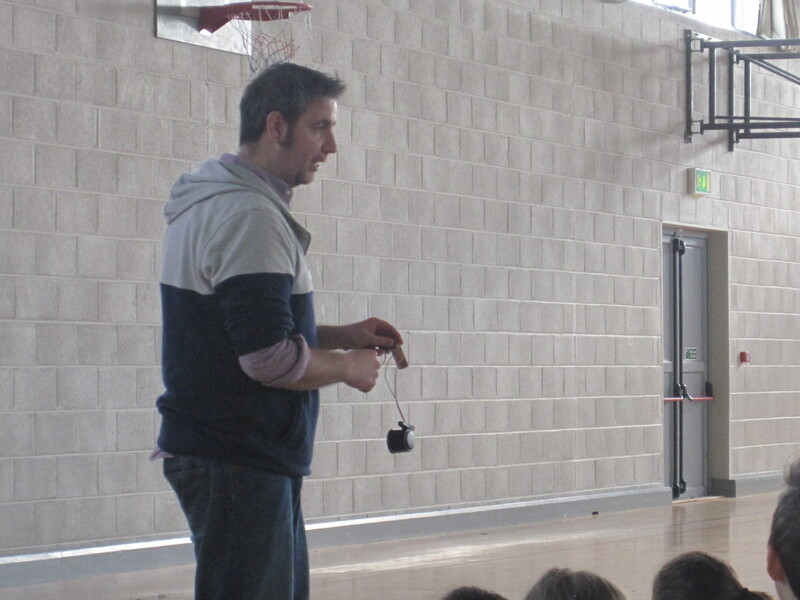 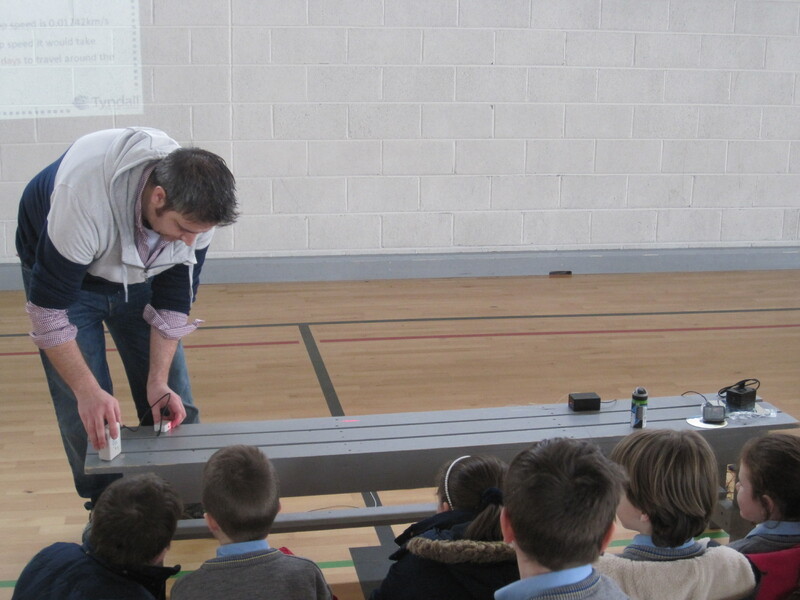 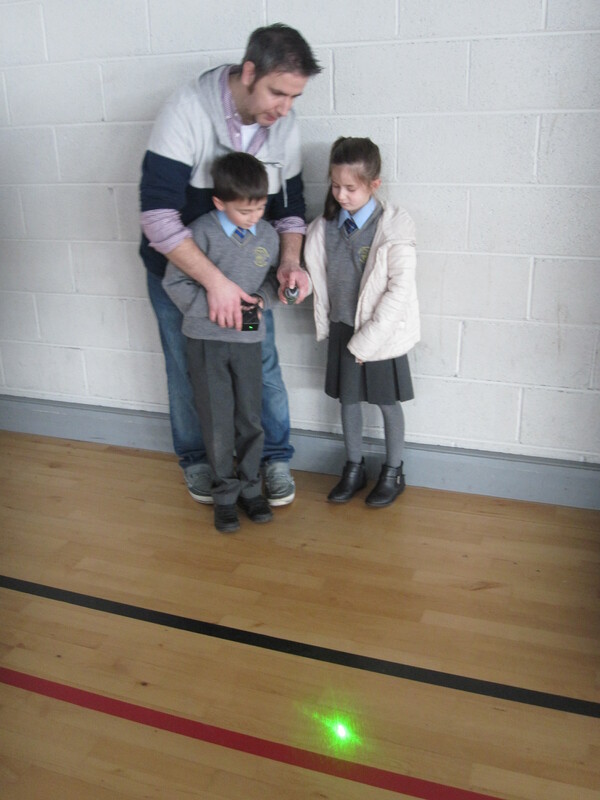 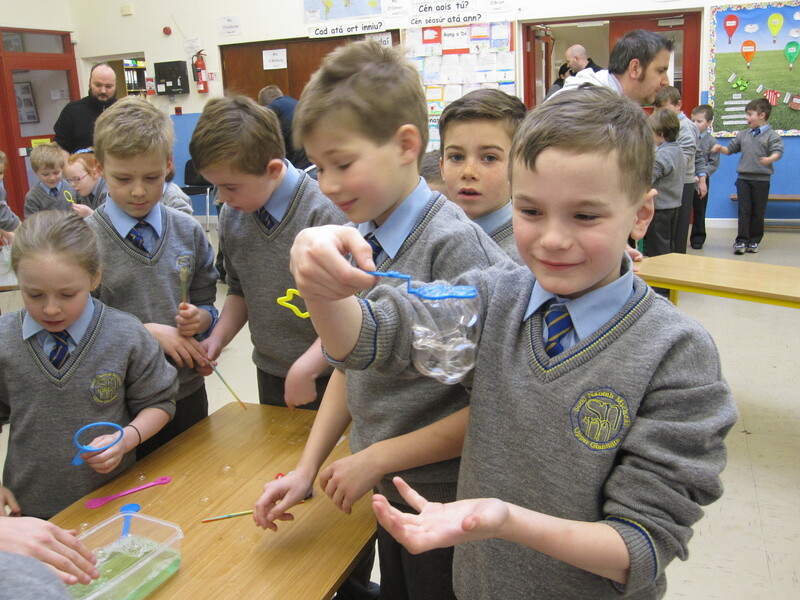 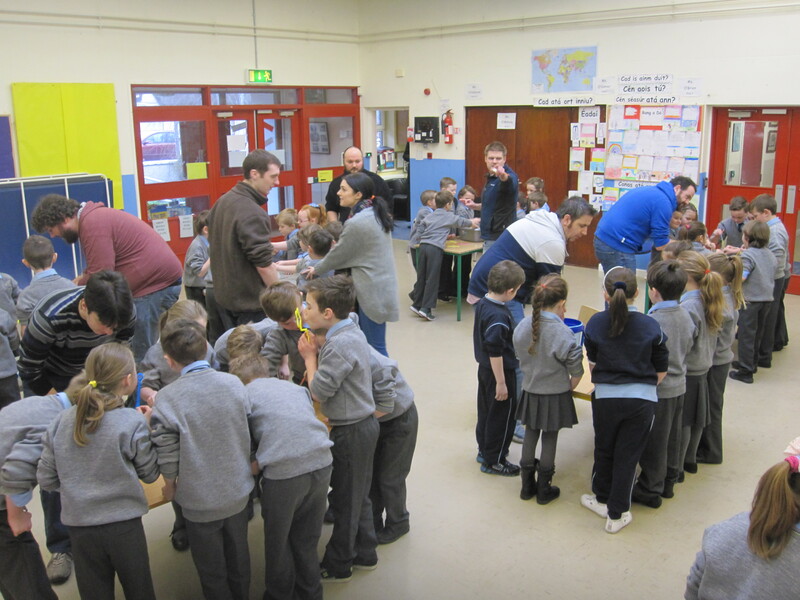 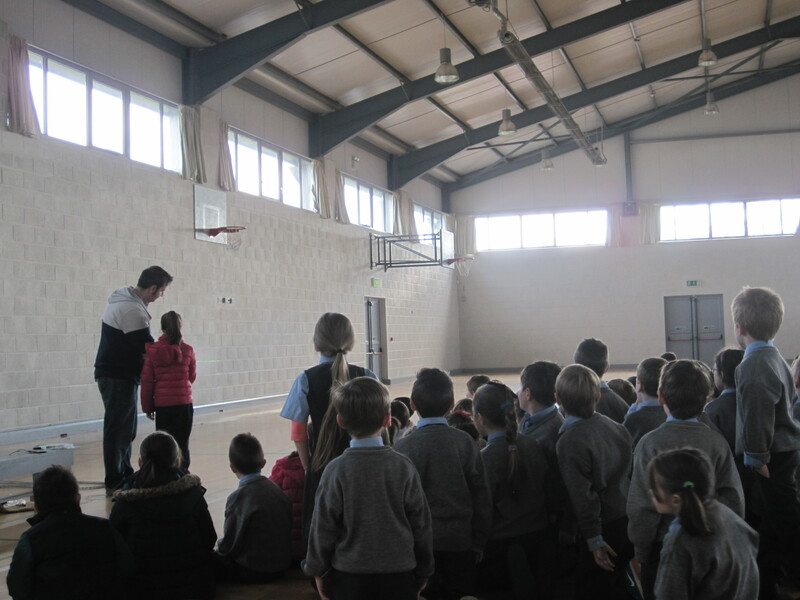 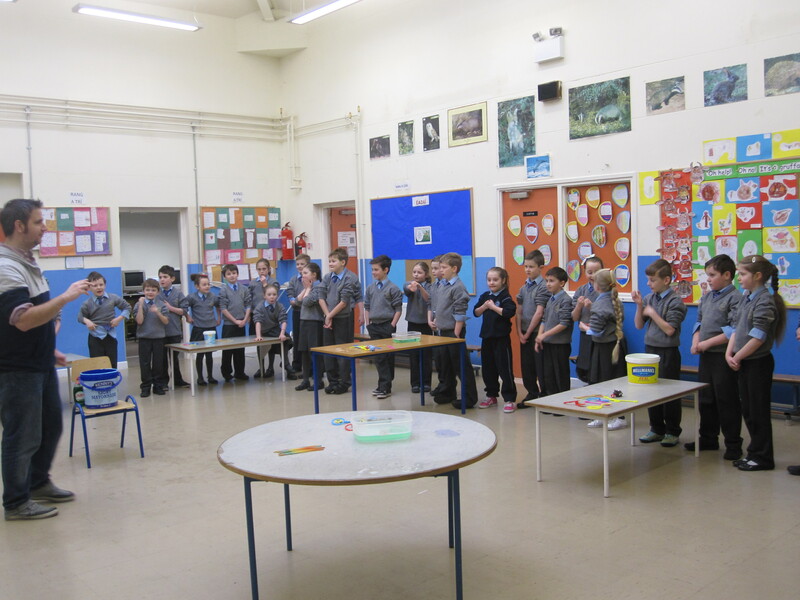 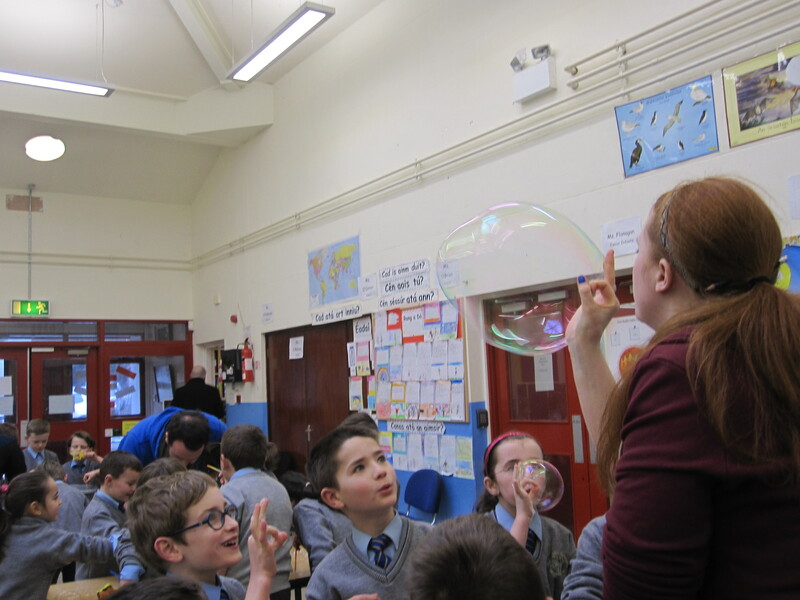 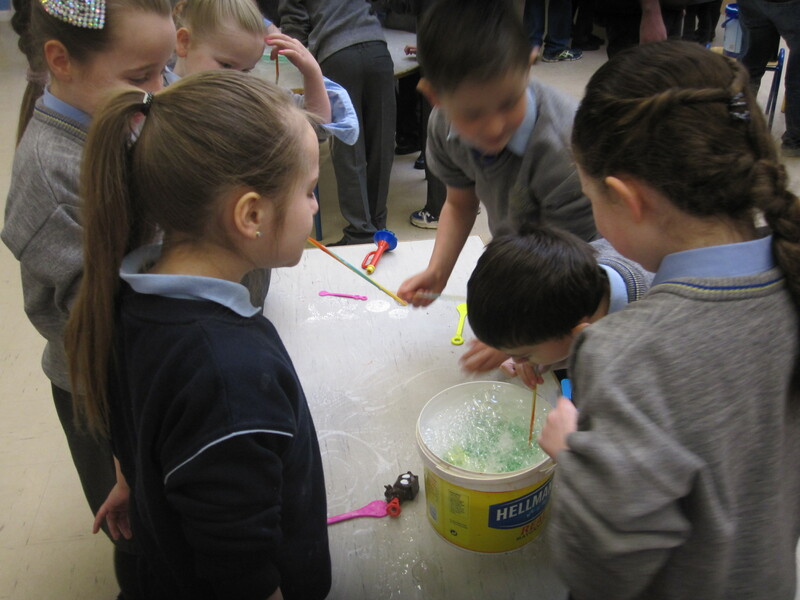 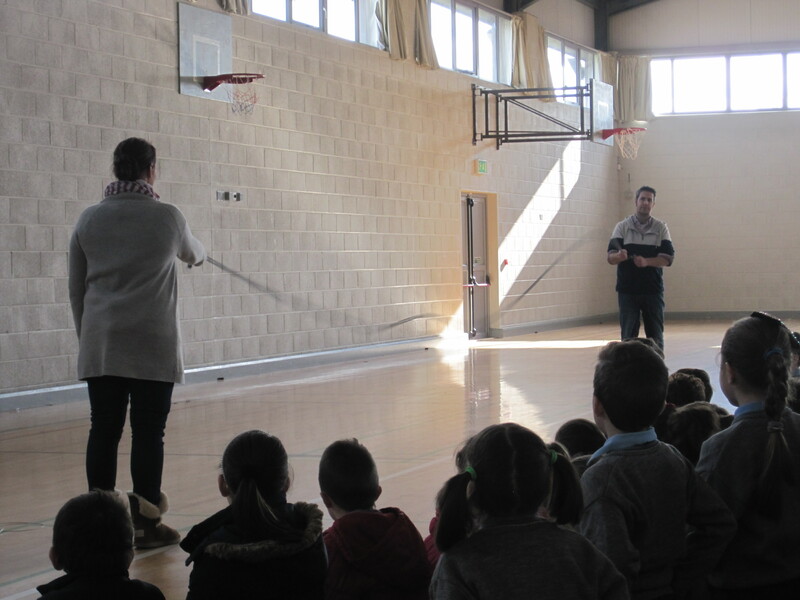 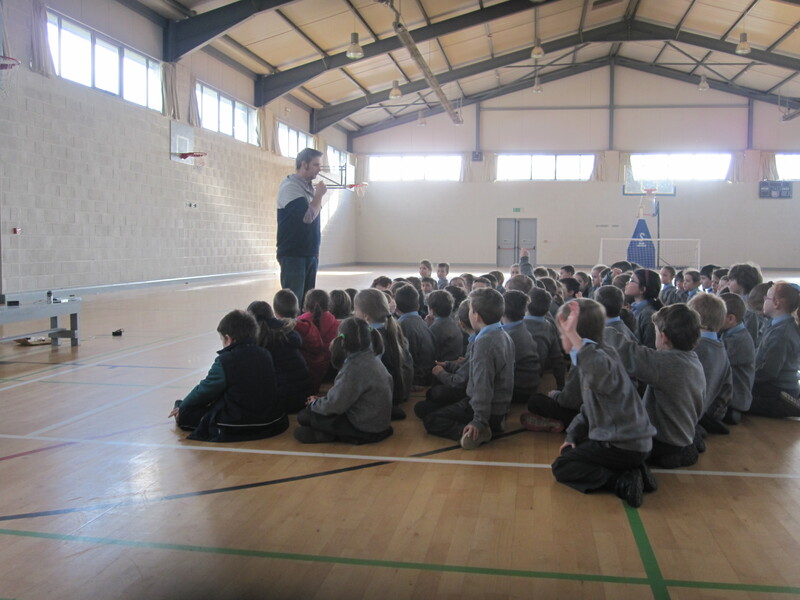 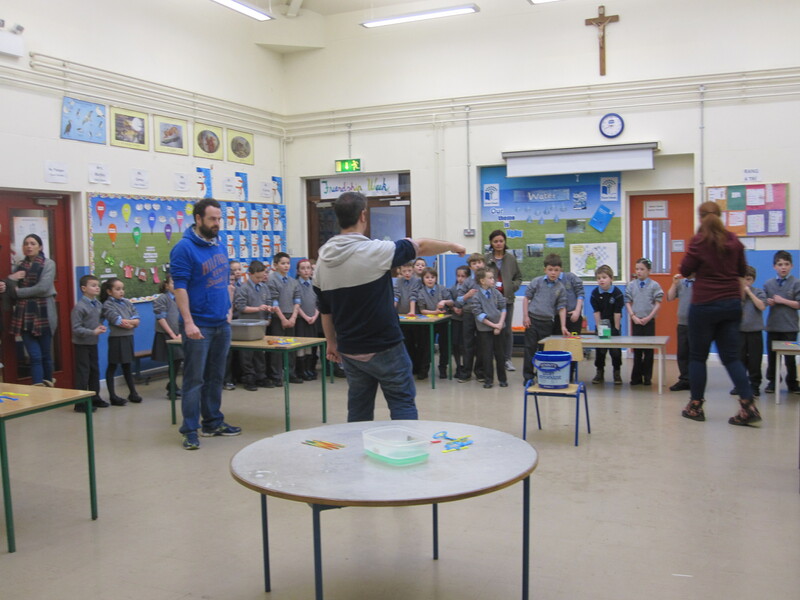 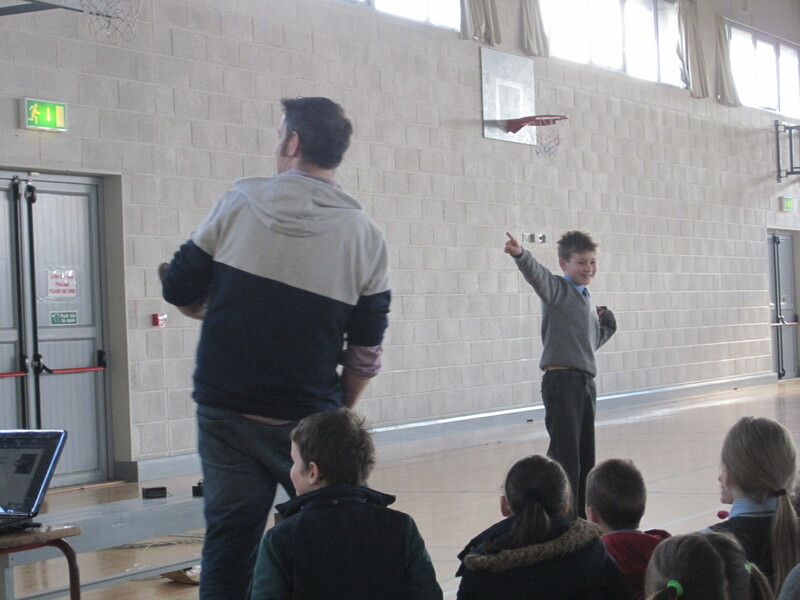 On Friday 6th February, Cillian’s uncle David and his work colleagues visited our school and put on two workshops – Bubbles and Lasers. 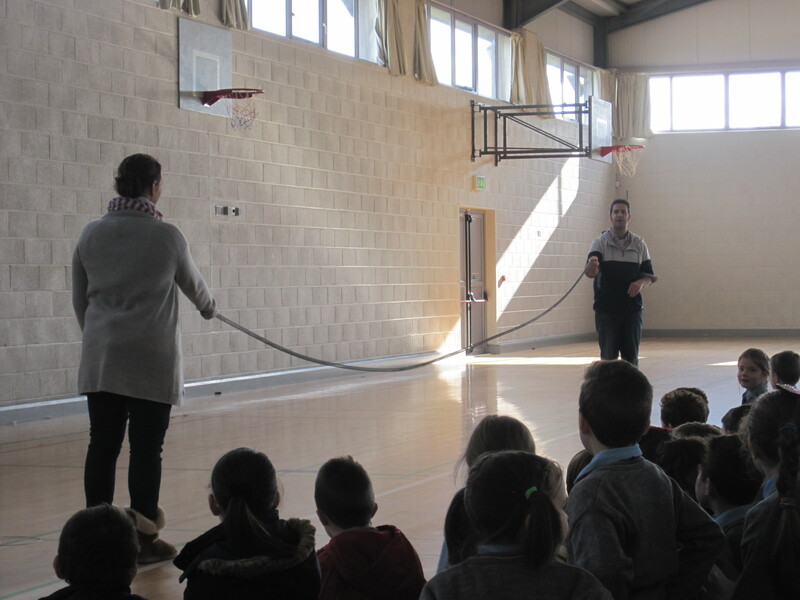 We learnt that light can travel 8 times around planet Earth in 1 second. 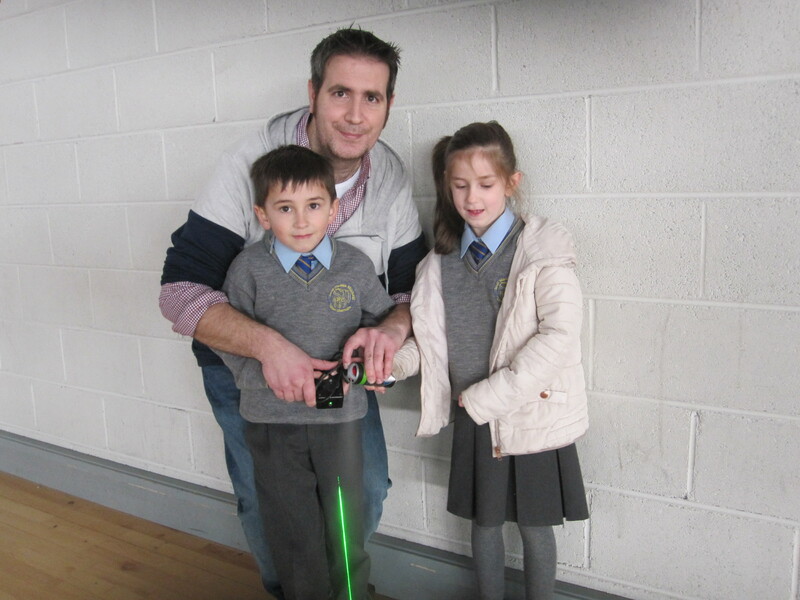 The green laser light is very dangerous and should not look directly at it. 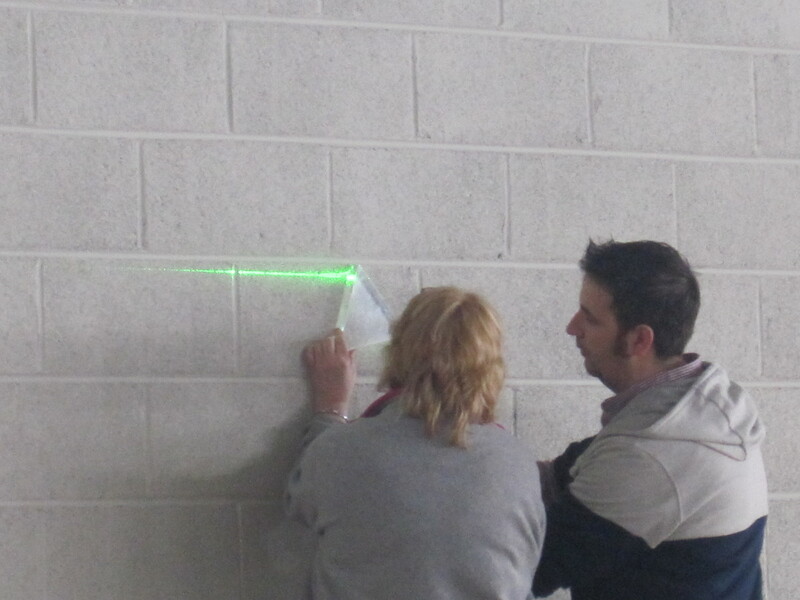 Lasers are used every day in phones, PS3, X-Boxes, dvd players, televisions and in alarms. 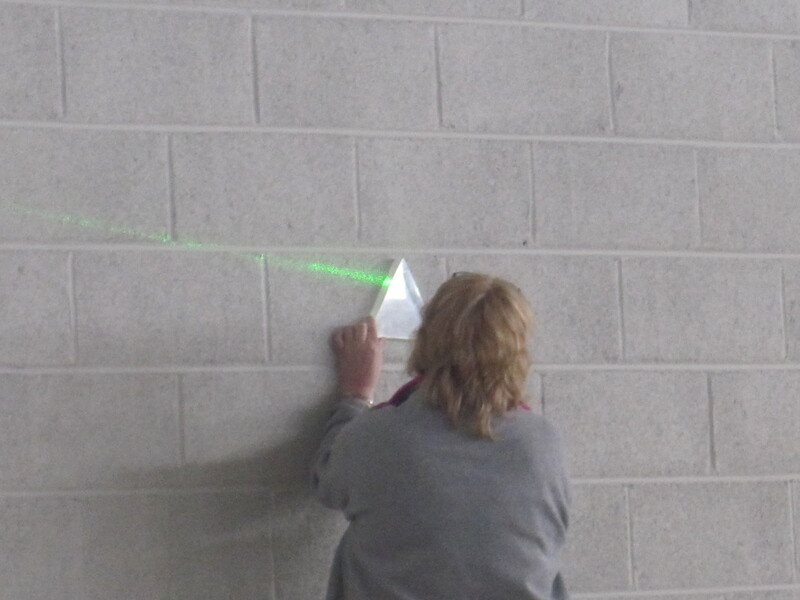 In some banks lasers are used to for alarm systems. 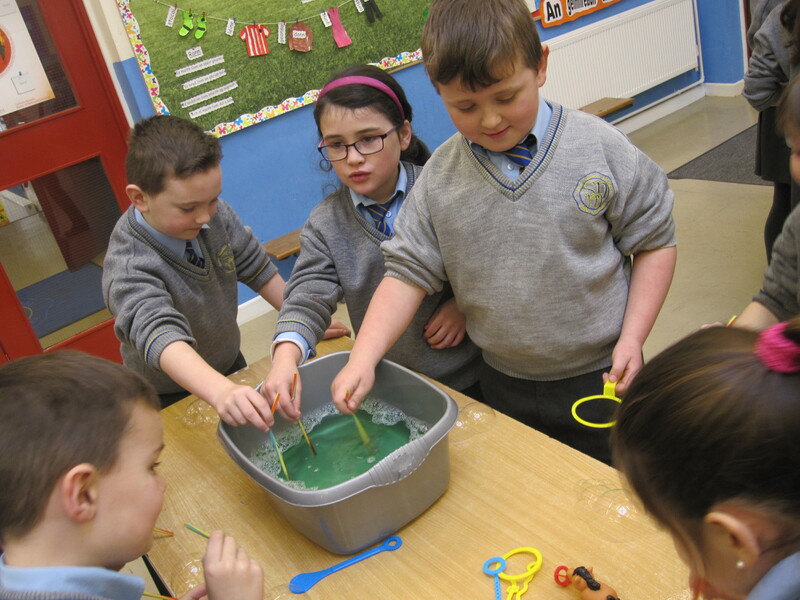 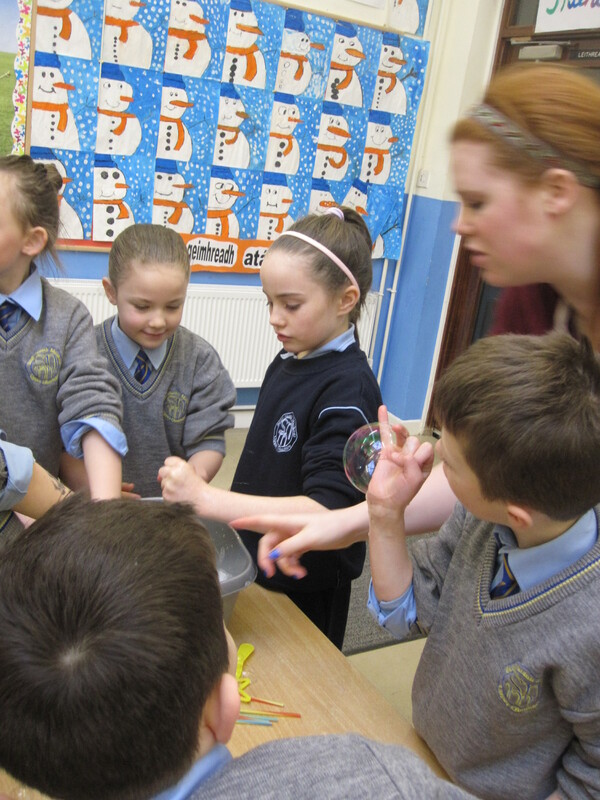 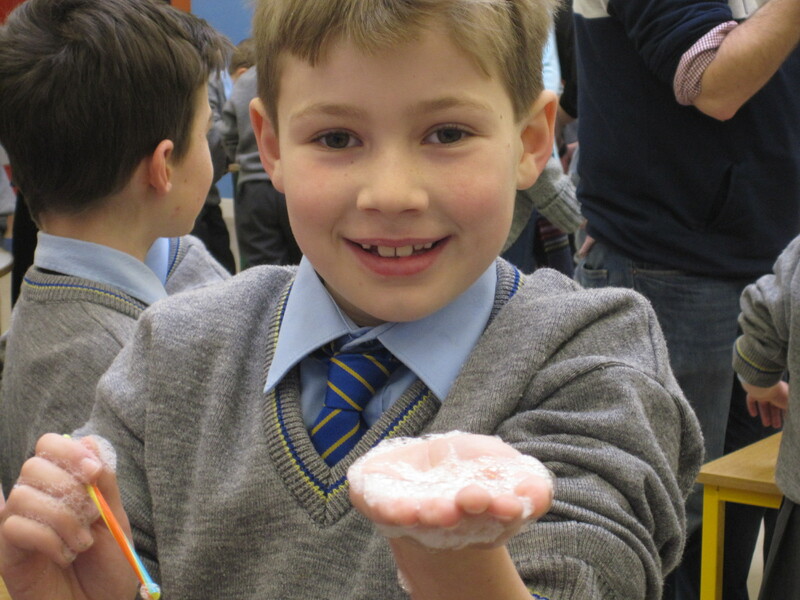 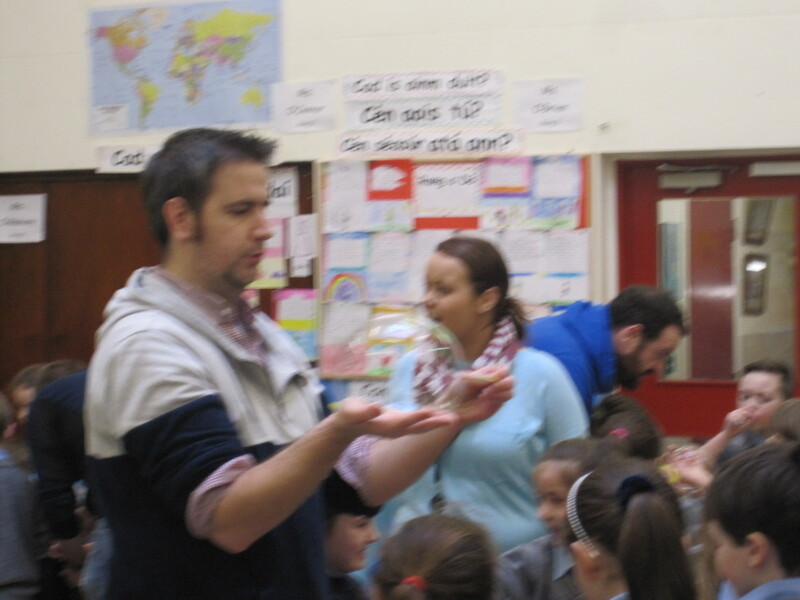 We also learnt that you can create bubbles from just using your hands, water and Fairy liquid. 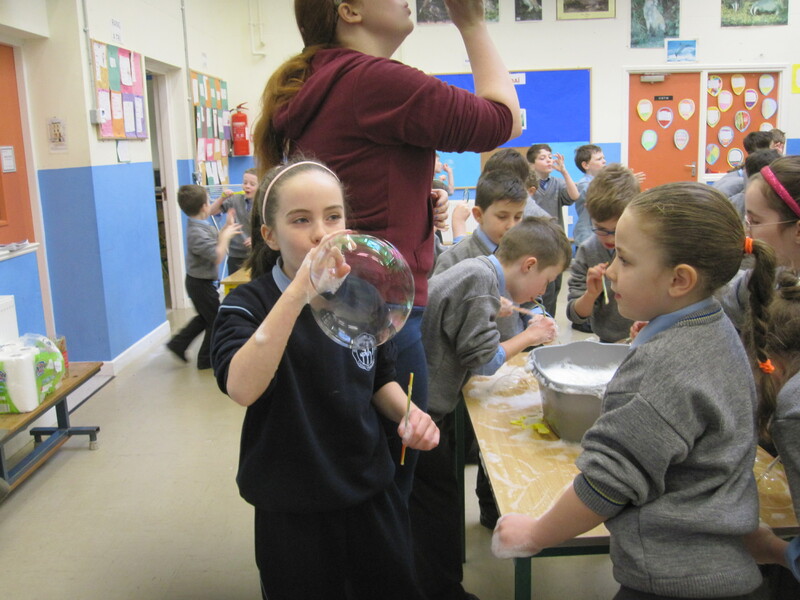 We made lots of different types of bubbles. 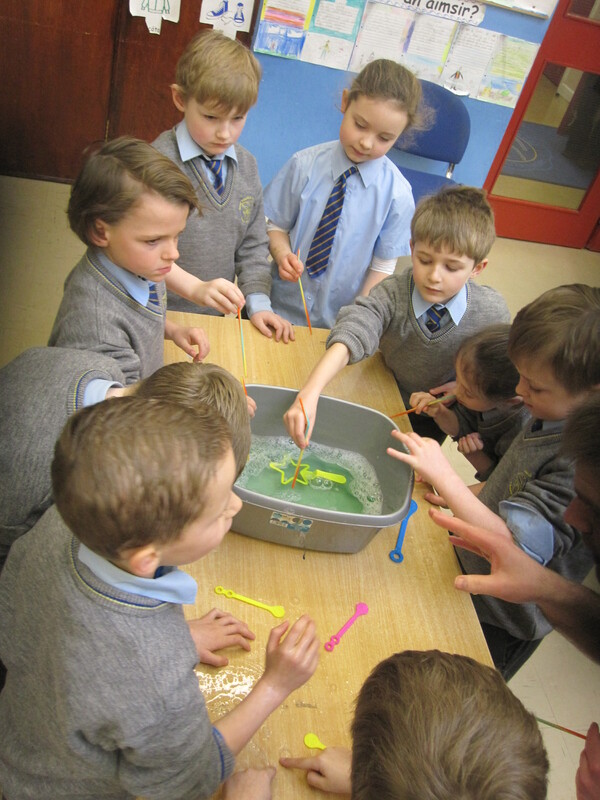 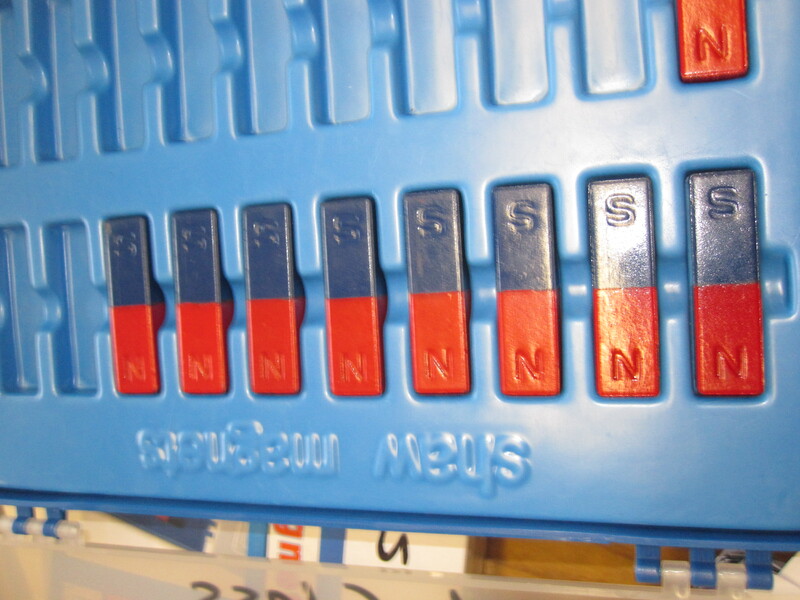 Science – Working with Forces. 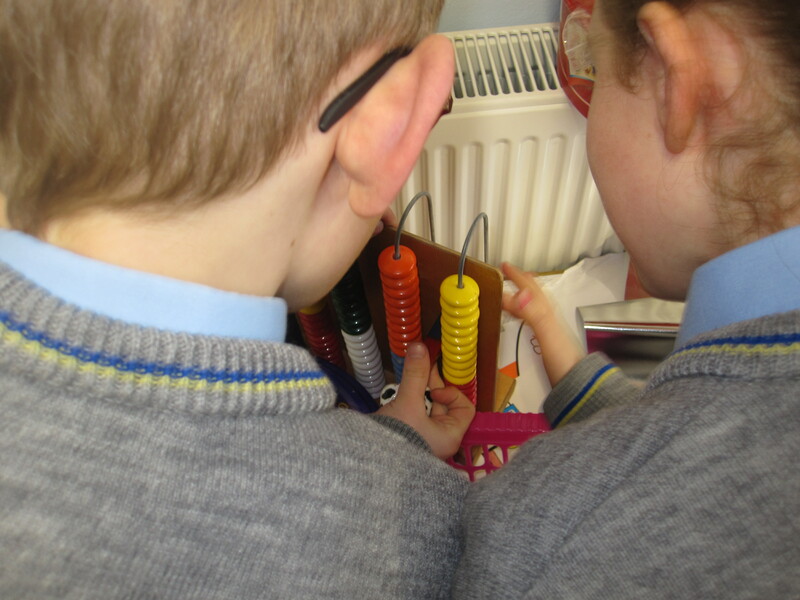 Rang a Dó did some work recently with magnets to show forces. 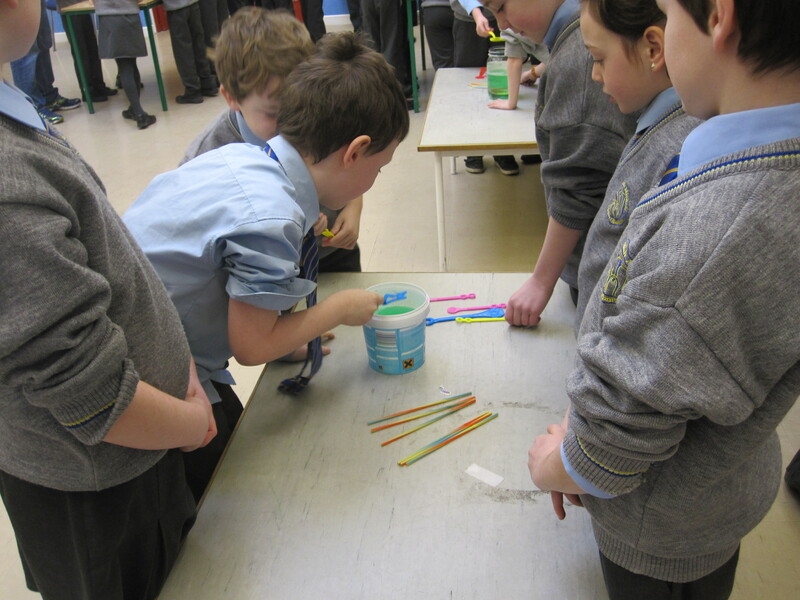 We also experimented to show how magnets attract some types of metal. 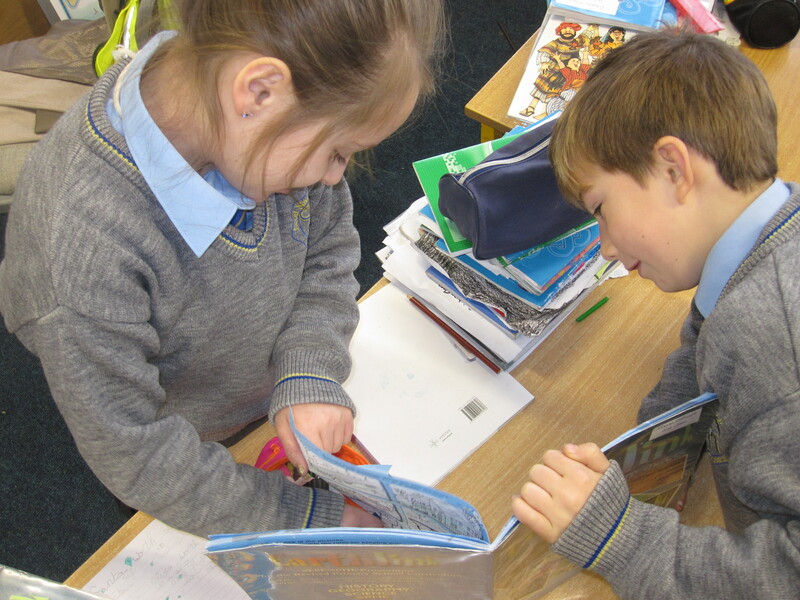 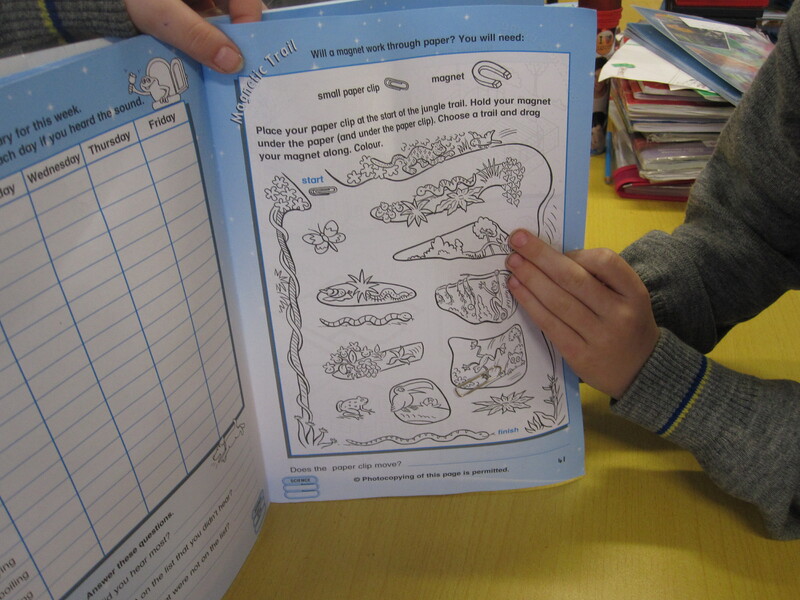 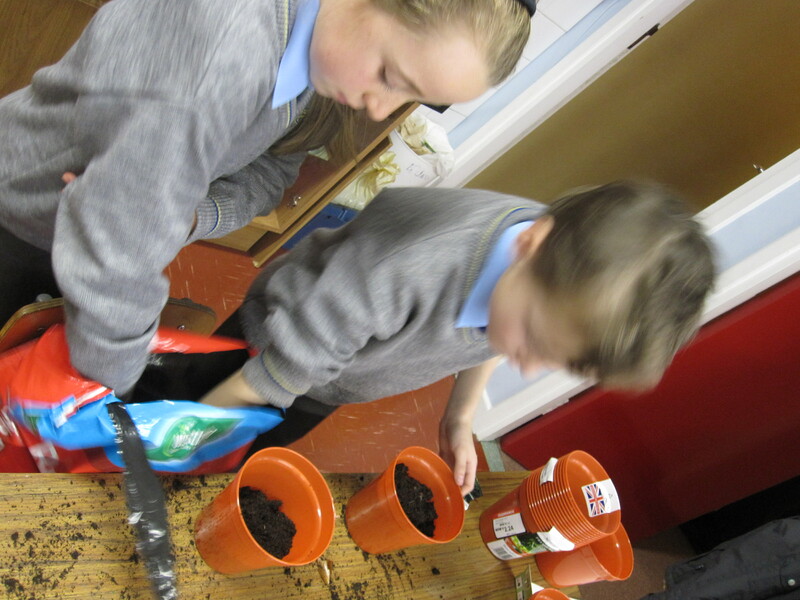 Have a look at the pictures to see what we did. 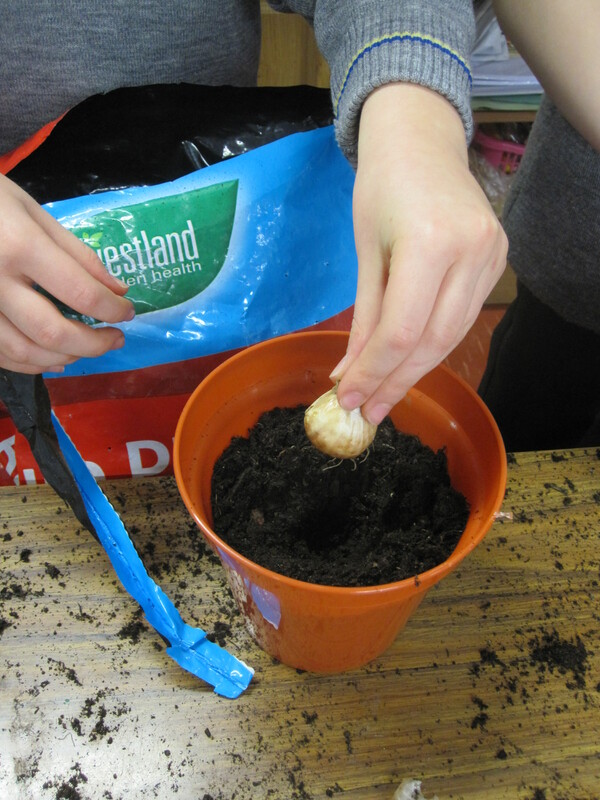 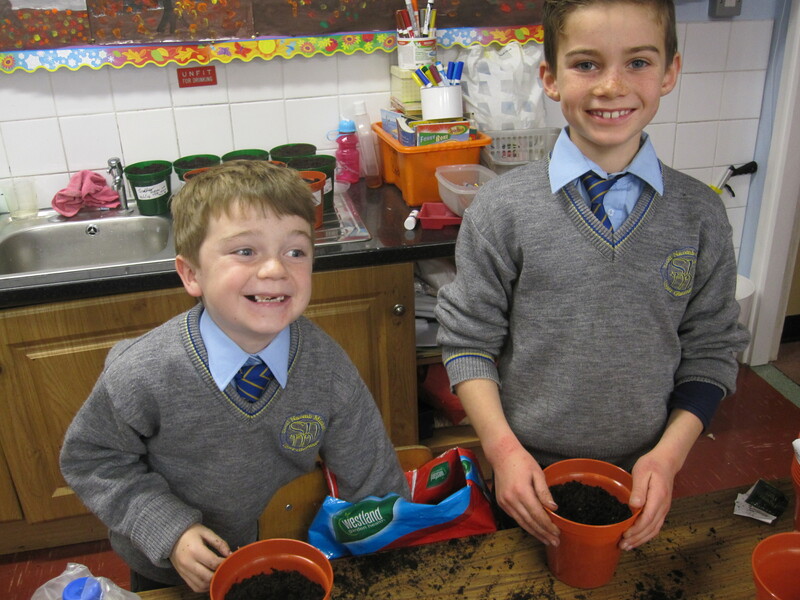 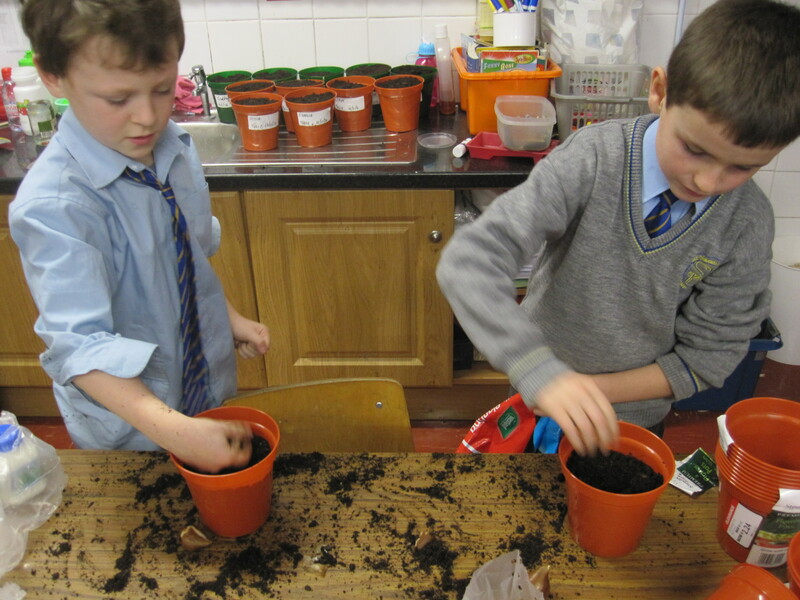 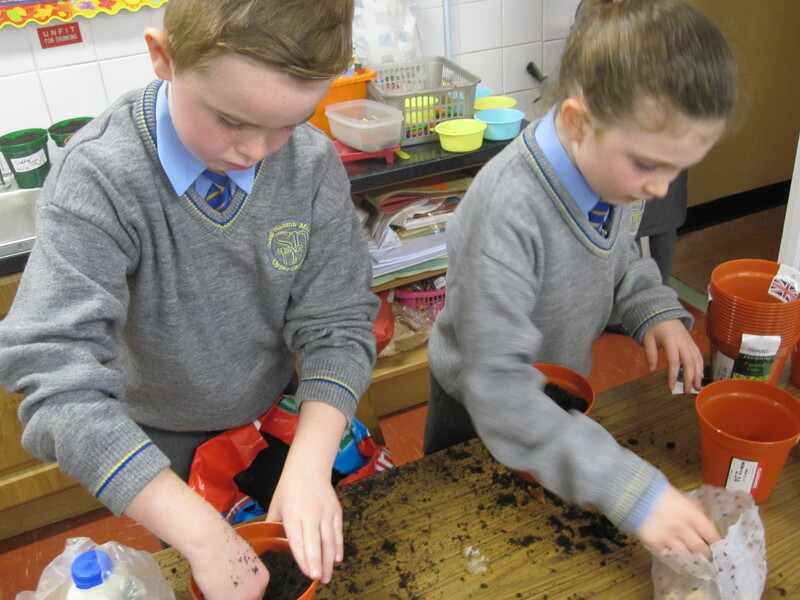 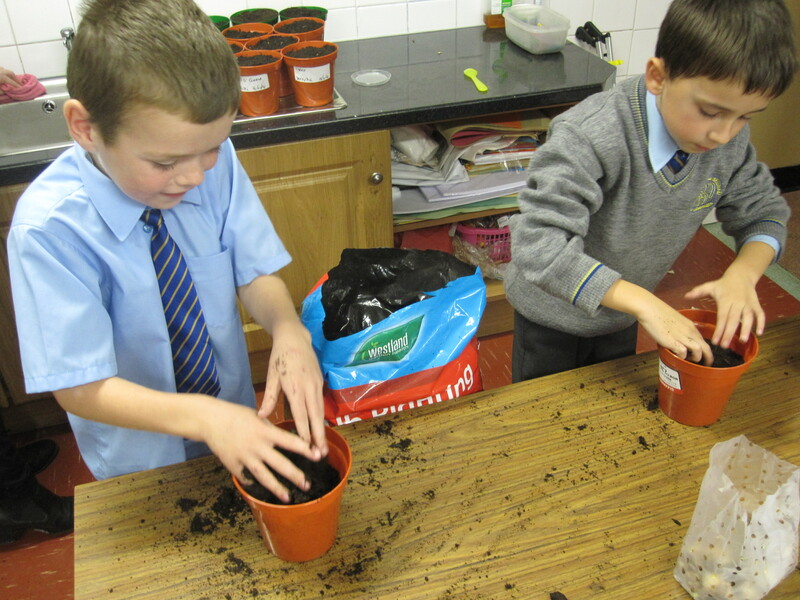 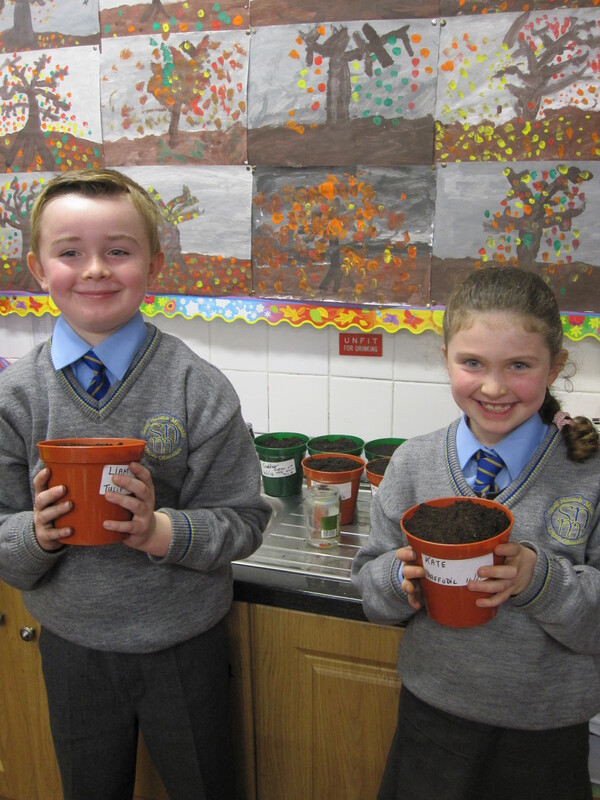 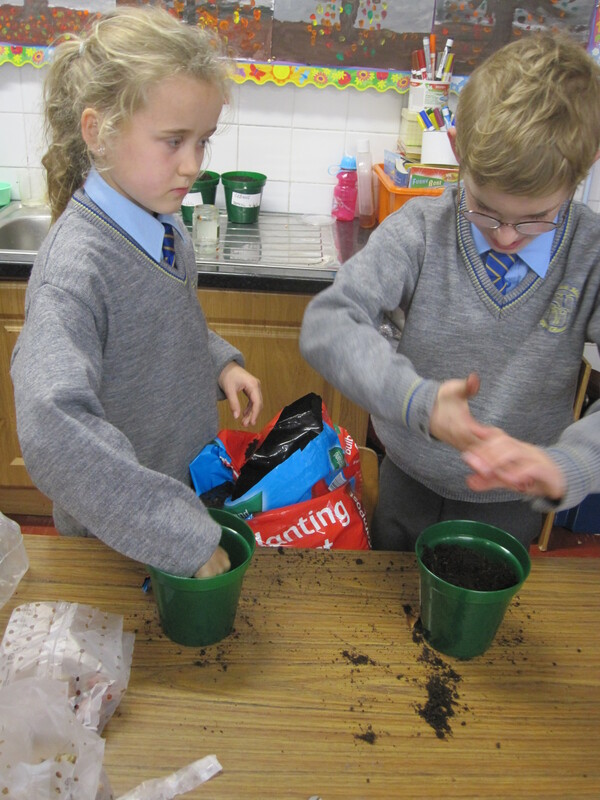 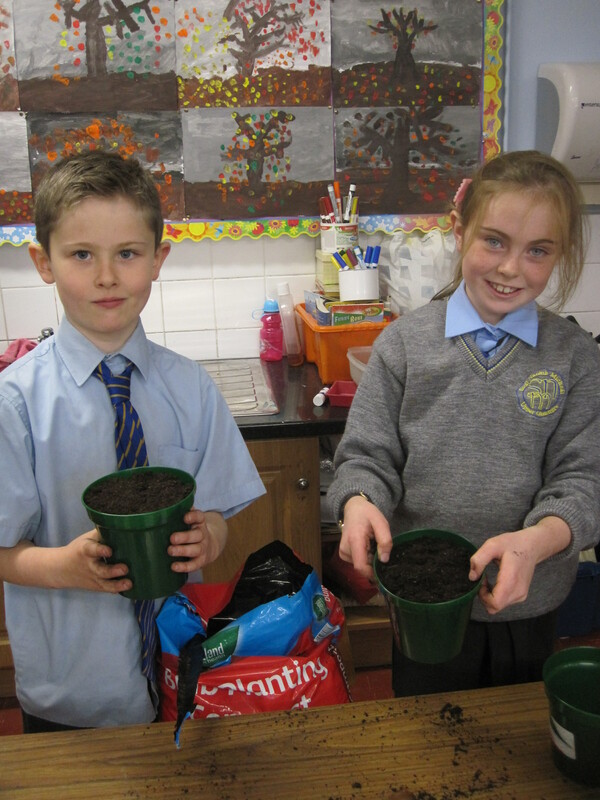 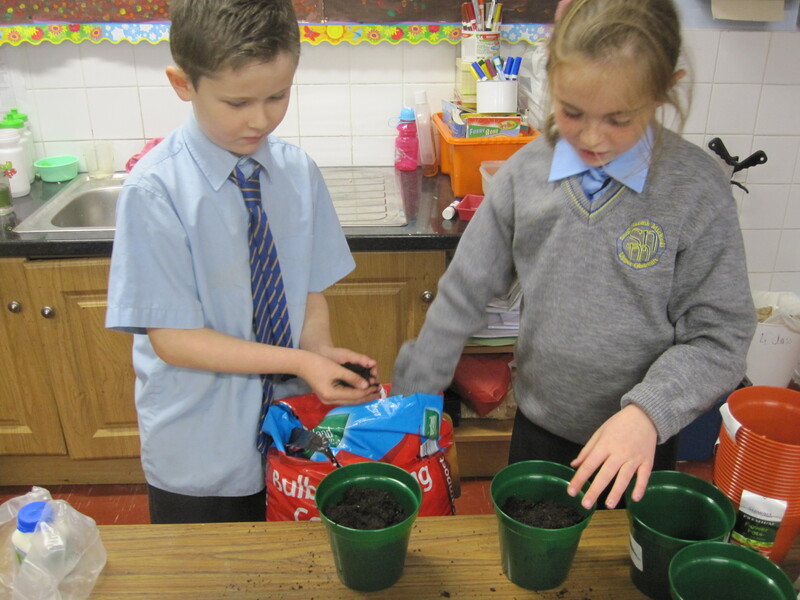 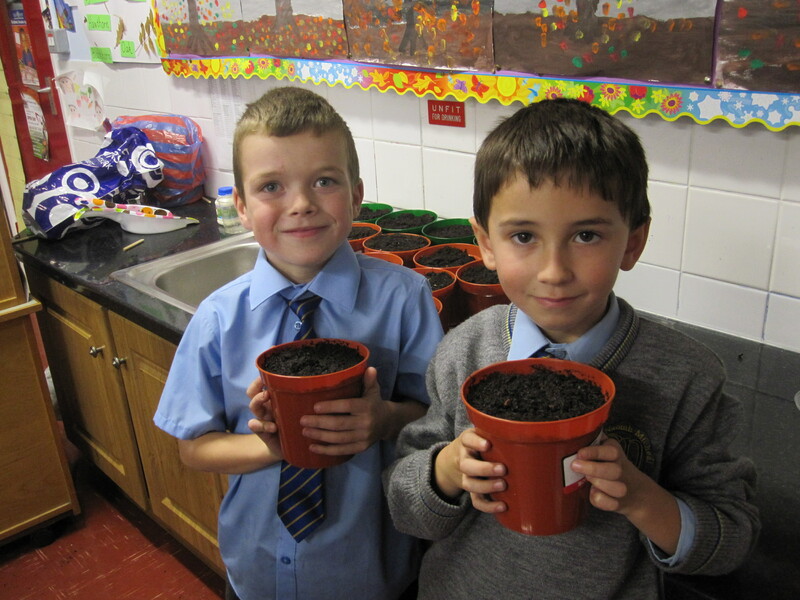 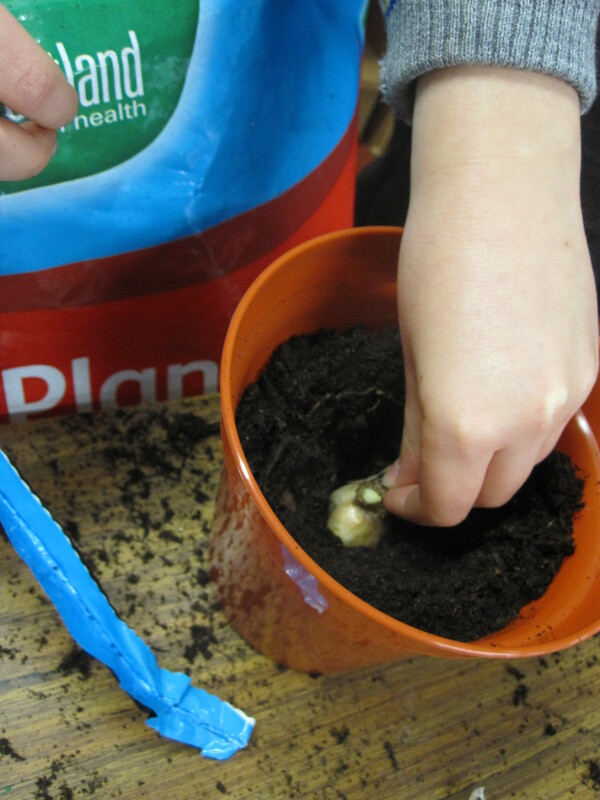 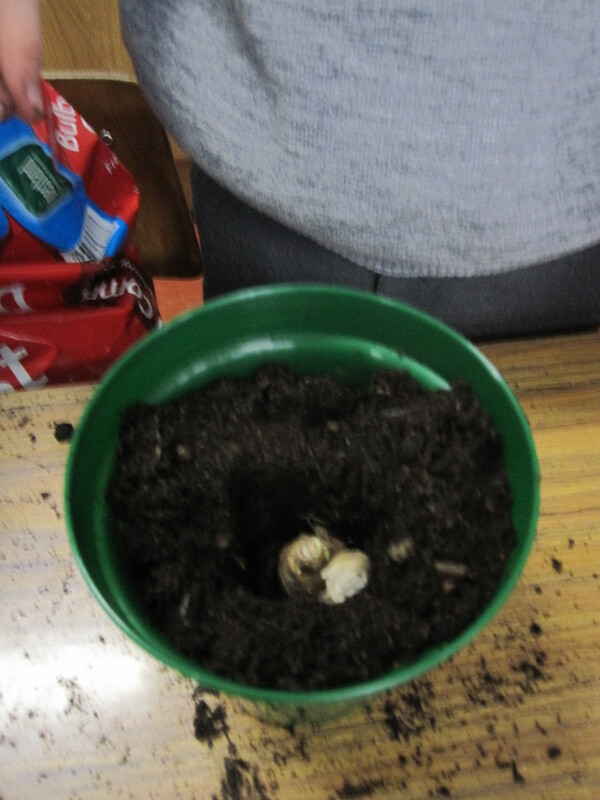 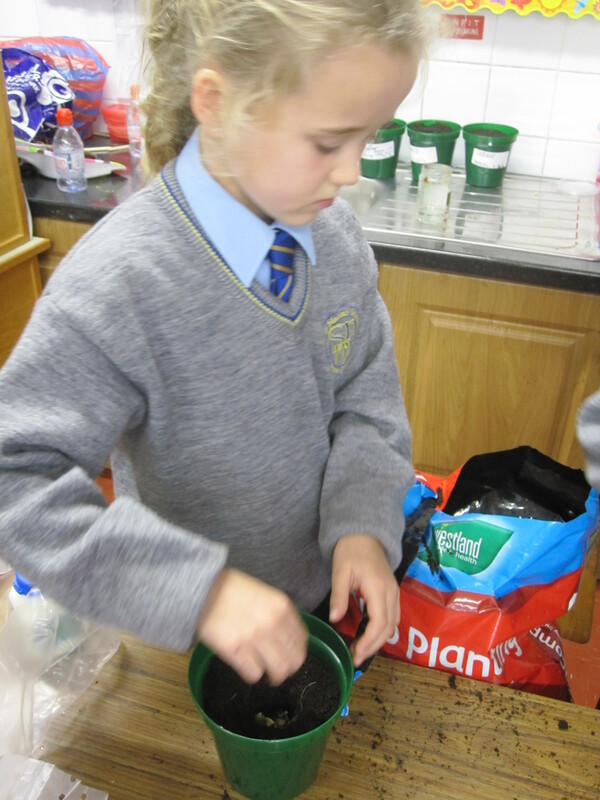 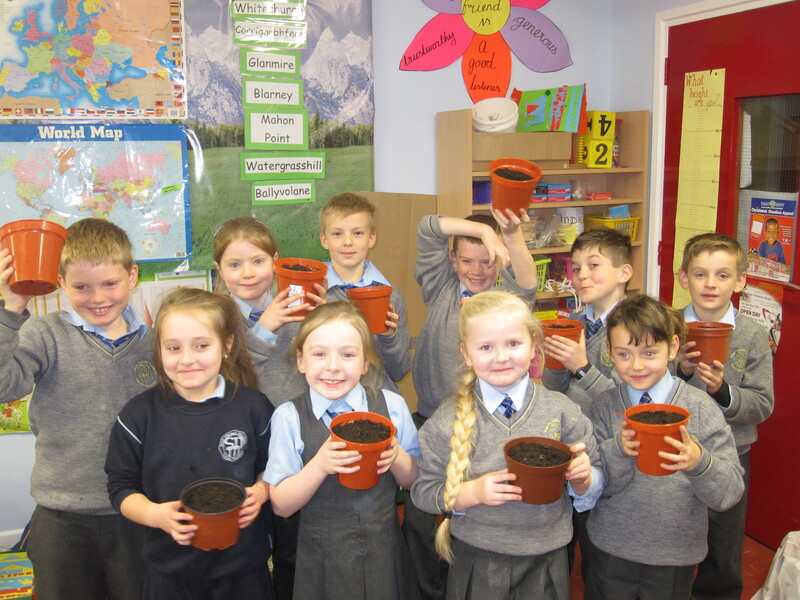 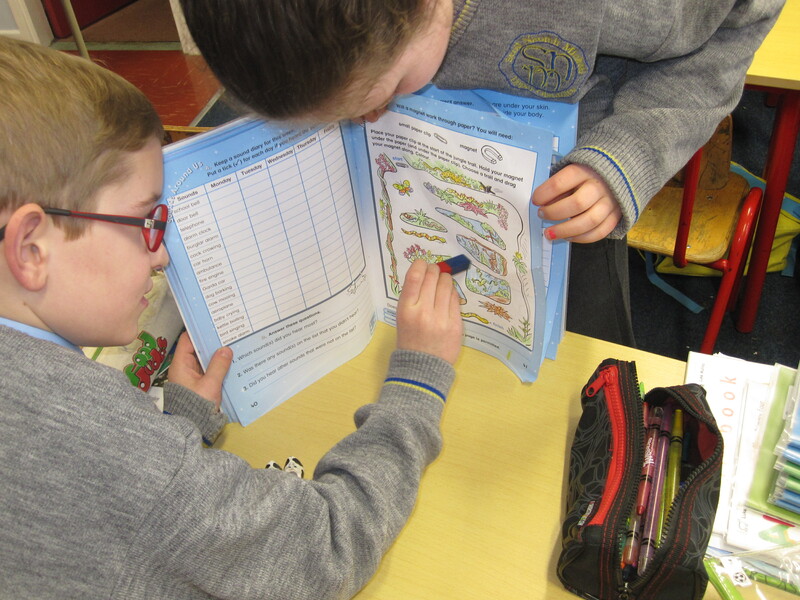 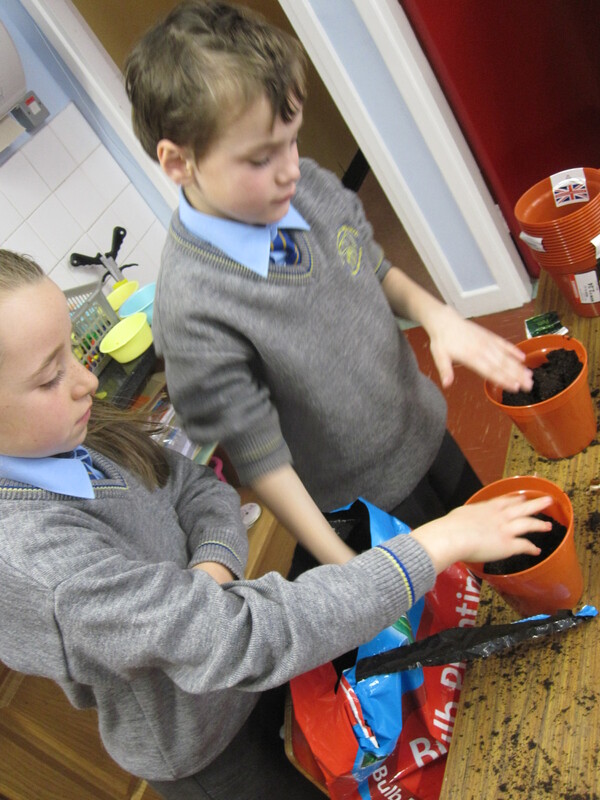 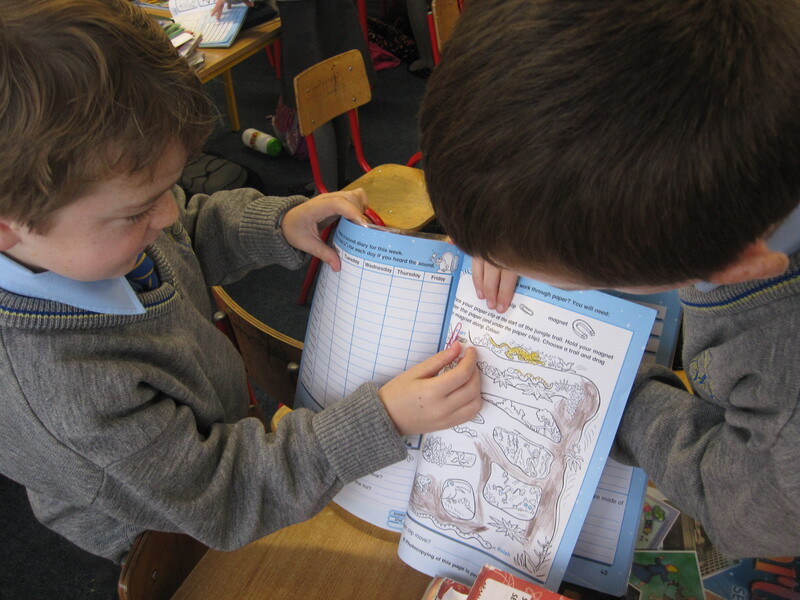 Rang a Dó had fun planting bulbs in the classroom. 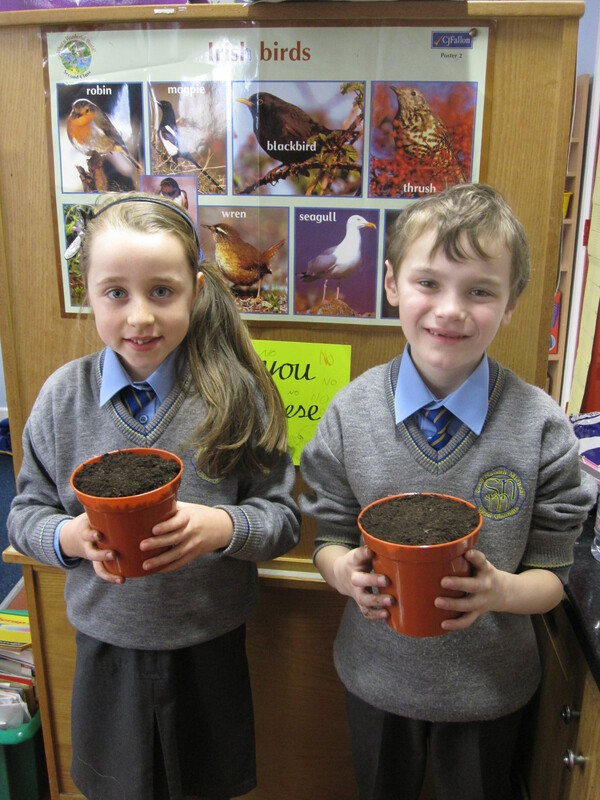 We planted Tulips and Daffodils. 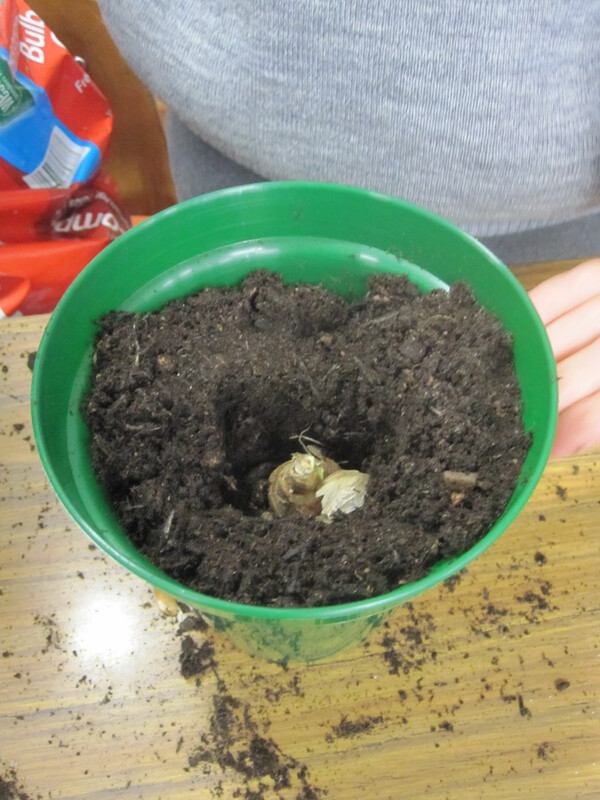 We used compost, bulbs, flower pots and water. 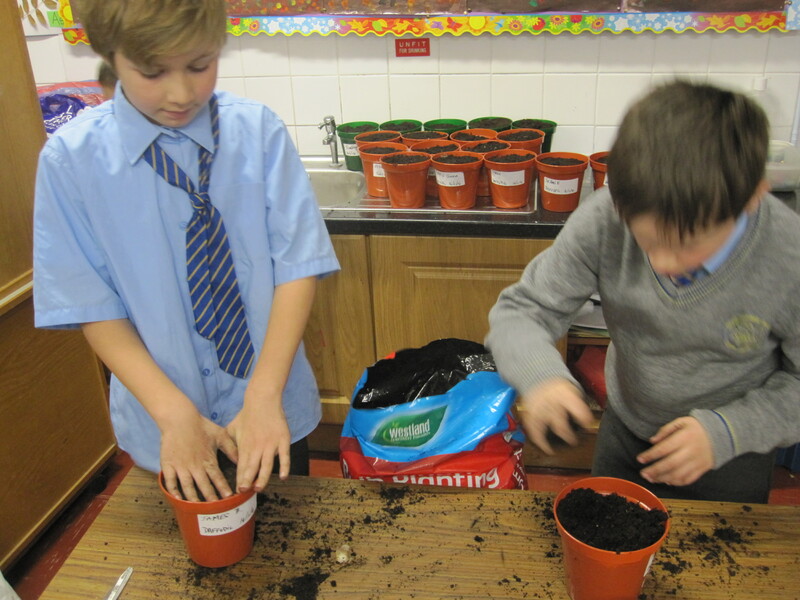 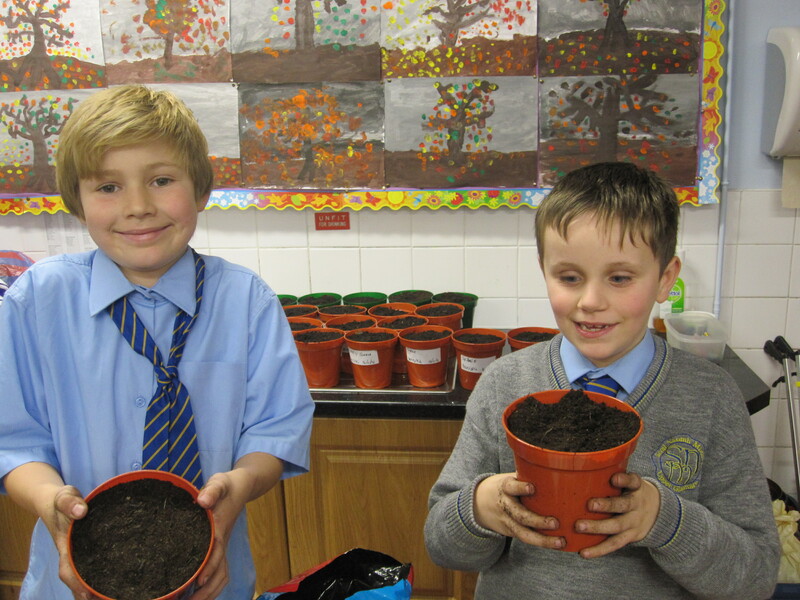 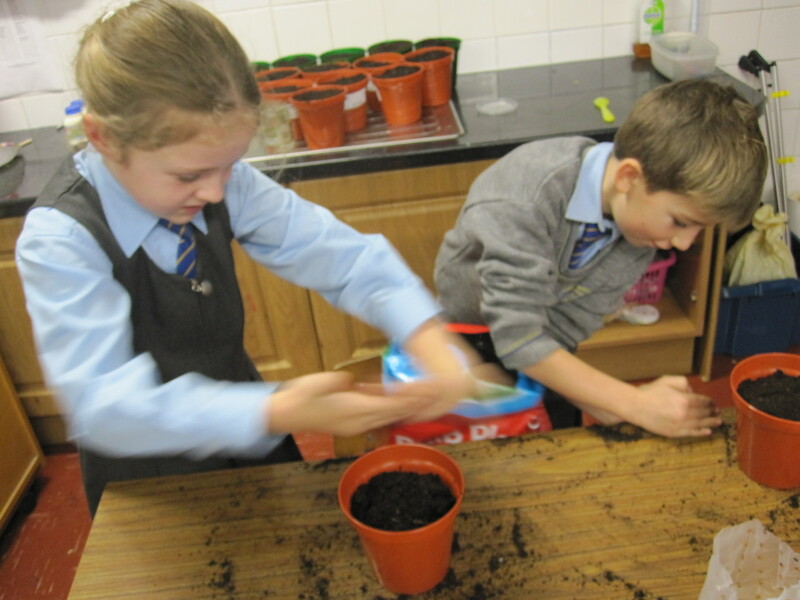 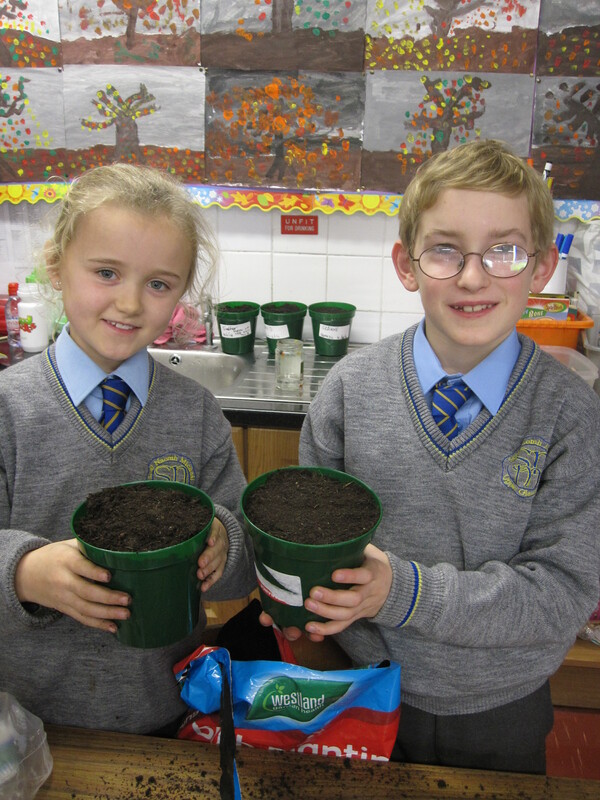 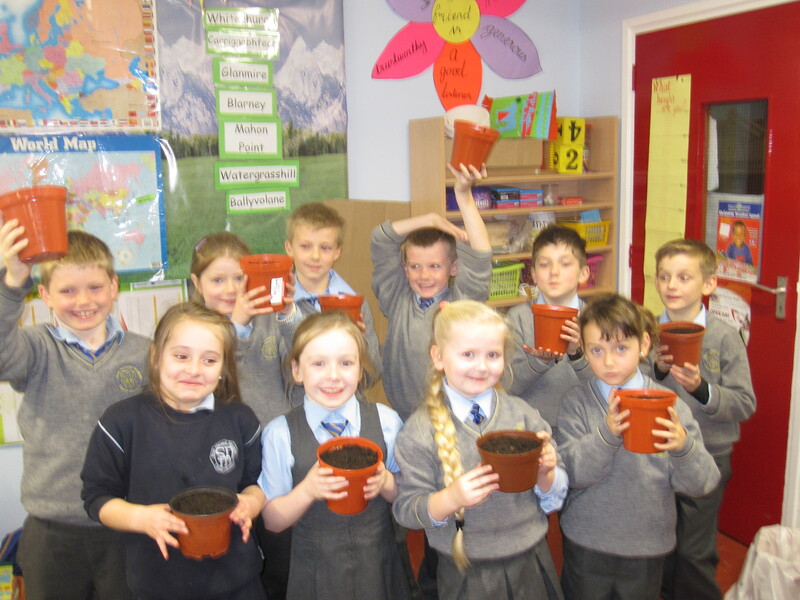 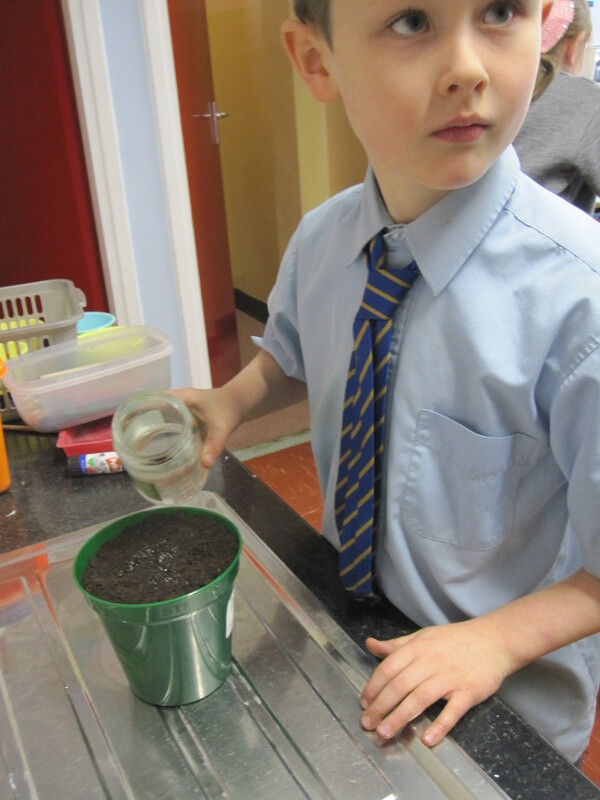 We planted 19 on Friday 14th November and 9 on Friday 21st November. 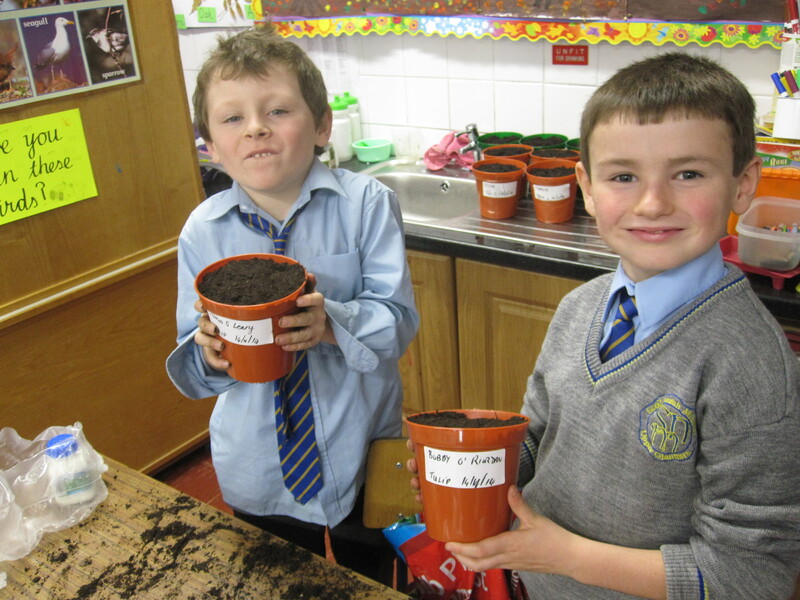 It will be interesting to see which ones will grow first. 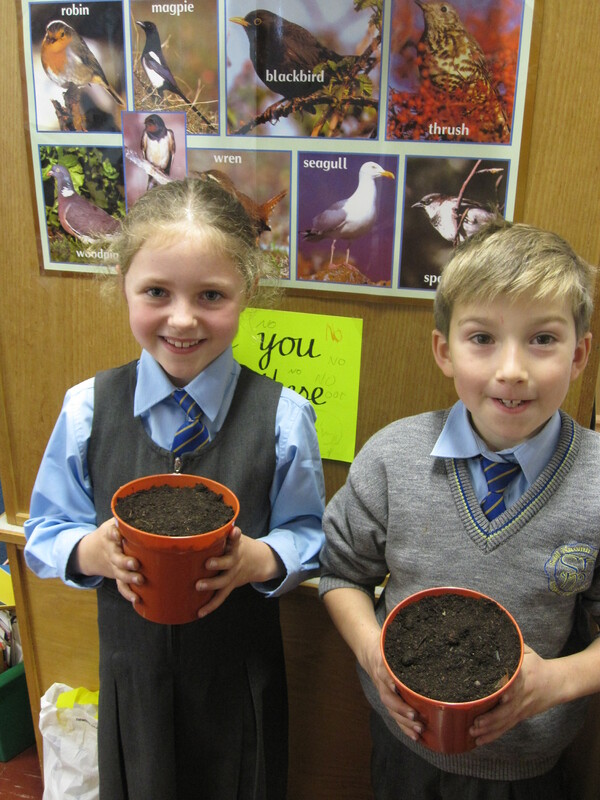 We are looking forward to watching them grow over the next few months.